The Vatican has released a full schedule for the trip to Turin by Pope Francis on June 21-22. The highlight of the papal trip will be a visit to the city’s cathedral to reverence the Shroud of Turin during its current public exposition. The Pope will leave Rome early on Sunday morning, June 21. Arriving in Turin’s airport, where he will be greeted by local Church leaders and civic officials, he will travel into the city. At the cathedral, he will pray before the Shroud and also before the altar of Blessed Waldensian. After concelebrating Mass at the Piazza Vittorio, the Pontiff will make a series of short visits: to a youth-detention center, with immigrants, with a Roma (gypsy) family, with religious, with the sick and disabled, and finally in the evening with young people. After a night in the archbishop’s residence, Pope Francis will speak on Monday morning at the Evangelical Waldensian Church. Later he will visit his own relatives, celebrating Mass privately with family members who still live in the Piedmont region, from which his own parents migrated to Argentina. In the afternoon the Pope will meet with members of the committee that organized the exposition of the Shroud before taking his flight back to Rome. Visit to the Evangelical Waldensian Church, (good explanation). Prayers before the altar of Blessed Pier Giorgio Frassati. Visits to a youth-detention center, with immigrants and with a Roma (gypsy) family. The proposed visit of Pope Francis to the Waldensian Temple is interesting, and only time will tell if it yields a fruitful outcome. Judging from some of the sad comments on the linked web-site, a strong bitter anti-papal feeling and resentment is still evident among the Waldensian community, while yet another comment is curious that the Pope is visiting heretics. Evidently a spirit of ecumenism has yet to spread its roots in that corner of the world. The original Waldensian movement is one of the earliest reform groups, and dates from the preaching of Valdes in Lyon 1170-76. At the Lateran Council of 1179, Valdes made a profession of orthodoxy and was confirmed in his vow of poverty by Pope Alexander III. However Valdes did not receive the recognition he sought, was condemned by the archbishop of Lyon, and in 1184 Pope Lucius III placed the Waldensians under a ban. Thereafter the Waldensians departed from orthodoxy, and the movement spread rapidly throughout Europe. Rome responded vigorously turning from excommunication to active persecution and execution. A number returned to orthodoxy, and by the end of the 15th century the movement was confined to the French and Italian valleys of the Cottian Alps. A second period in their history began in 1526 when they were introduced to Reformation theology, and thereafter eventually becoming in effect a Swiss Protestant Church, with some emphasis on predestination and millenialism. Years of persecution continued until they were granted full civil rights in 1848. In the 19th century, a number of Waldensian emigrants migrated to Uruguay, and thence established a number of small communities in the United States. The interest of Pope Francis in the Italian Waldensians seems to be connected to his own parents’ origins in the Po Valley, where he still has family, and which seems to remain a stronghold of the movement. It seems typical of Francis that he reaches out to those most disconnected from the main stream, and always in a spirit of reconciliation. He will be reinforced in the knowledge that the prayers of many will accompany him, in the hope of a fruitful and conciliatory outcome. Pope Francis is an excellent pastor, an example many should follow. He impressed Justin Welby, Archbishop of Canterbury and Primate of England, who is doing his part of the job in that country, where Catholics and Anglicans havê begin to share churches. My bet is that Francis will bring many Catholics and Evangelicals together when he goes to the US. Thank you Daveb for the information and thank you Louis for your expectation of Pope Francis. I like Pope Francis very much. Even Francis did simmilar things before he became the Pope. Hope one day he authorise to do more research on the Shroud of Turin and I have no doubt that the outcome of this will help to bring more Catholics and Evangicals together. Yes I will remember this and try to get more information from Kerala as well as from my Tamil friends. Do you believe in the biorhythm ? Yesterday I wanted to add something about the question of the Holy Father and the Eucharistic miracles (in Turin and Argentina). >At seven o’clock in the evening on August 18, 1996, Fr. 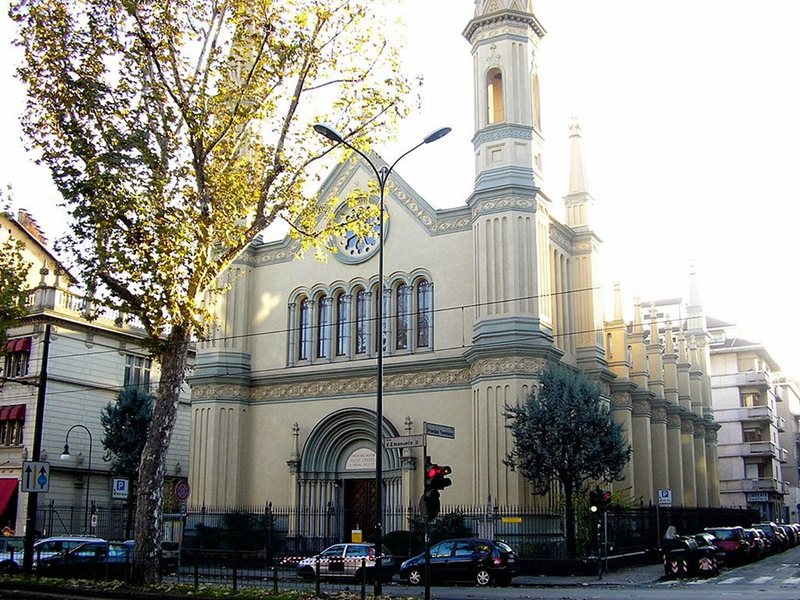 Alejandro Pezet was saying Holy Mass at a Catholic church in the commercial center of Buenos Aires. As he was finishing distributing Holy Communion, a woman came up to tell him that she had found a discarded host on a candleholder at the back of the church. On going to the spot indicated, Fr. Alejandro saw the defiled Host. Since he was unable to consume it, he placed it in a container of water and put it away in the tabernacle of the chapel of the Blessed Sacrament. >a journalist reported that miracles had been more than one. The first “signs” occurred “in May 1992, the same month and year that Bergoglio was appointed auxiliary bishop of Buenos Aires”, then “24 July 1994 while the minister of the Eucharist took the cup contained in the Tabernacle he noticed that a drop of blood was flowing on the inner wall of the same Tabernacle “and the last, that of 1996 described by Fr. M. Piotrowski, had not happened on August 18 (as erroneously reported) but on the 15th, the Feast of the Assumption Mary into heaven. >After the article by Antonio Socci, a journalist Maurizio Blondet, who had already reported in an article published on the website Effedieffe, he came up with the idea of ​​going personally to Buenos Aires to investigate the events in person and riportarali in a subsequent publication. In any case Karol Wojtyla was perhaps the most daring of the Popes exorcists. He began releasing a girl without knowing the basics of exorcism, but they did not want to pull back. And he reimprovvisò exorcist in at least two other occasions. The devil, as a result, sent word to Monsignor Andrea Gemma (known exorcist) who hated Pope Wojtyla (dubbed “the old man”), as well as Pius XII hated, but feared beyond measure Pope Ratzinger. But Pope Francis will be saved! Homeless From Rome Visit Shroud of Turin Is Charles Freeman Emerging as the World’s Leading Shroud Skeptic?